Good location. Close to the metro station and nice accomodations. My only complain is that at the check out time the receptionist told me I had to pay for my stay even though I payed for it at the moment of the check in. Since the receptionist that checked me in wasn't there, I payed again in order to avoid problems. At the end everything was solved and I reveived the refund from the hostel weeks later. 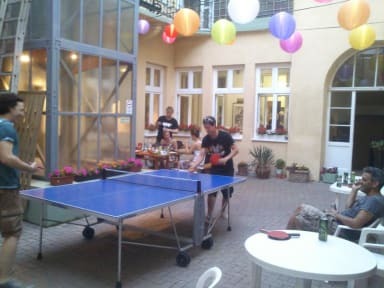 The hostel was really good in general, everything clean and the walking tours they promote are excellent. Good place to stay in Budapest! As instalações do hostel são muito antigas, quartos etc. 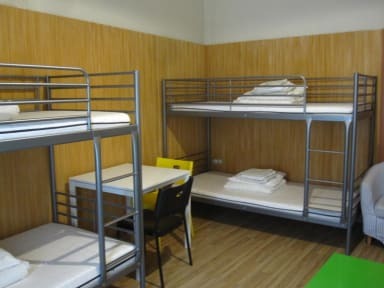 Hostel muito muito sujo e não fica ninguém na recepção o que pode comprometer a segurança. Achei péssima a estadia.